How high are realtors' and lawyers' fees in St. Kitts & Nevis? What about other property purchase costs? 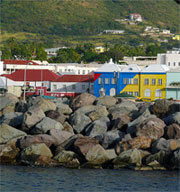 How difficult is the property purchase process in St. Kitts & Nevis? 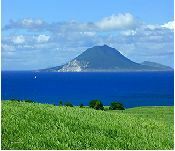 Foreign ownership of property is allowed in St. Kitts and Nevis. To obtain an Alien Land-holding License, one must hire a lawyer for assistance. Once the License is granted and a property has been chosen, and agreement of sale is drawn up by the seller and signed by both parties. The buyer will be required to pay a deposit of 10% to 15% of the sale price to reserve the property. Closing usually takes two to four months. This entails due diligence, the transfer of deed, and payment of government duties. Recently, the Government of St. Kitts and Nevis passed newly amended bills. This includes the Amended Stamp Bill, which postulates that the previous Stamp Duty of 12% being paid by the seller for freehold property will be replaced by a 6% Stamp Duty, paid by the buyer. Stamp Duty is at 5% for condominiums, 14% in Special Development Areas, and 18.5% for the South East Peninsula. For freehold property, or for property whose seller is the Government, Stamp Duty is at 6% payable by the buyer. The alternative route is to acquire an Economic Citizenship. This does not require the buyer to change citizenship status in his/her home country; dual citizenship is allowed. An Economic Citizenship permits the buyer to hold a passport issued by St. Kitts and Nevis. Full residency and work permit are also granted. The successful applicant will not be taxed on foreign income, capital gains, gift, wealth, and inheritance tax. The applicant is required to invest US$250,000 in government designated real estate or acquire Treasury Bonds from the Government of St. Kitts and Nevis amounting to US$200,000. US$35,000 must be paid to the Government and may not be refunded. For each dependent, there is an additional payment of US$15,000. A background check also requires a fee of US$2,000. Economic Citizenship is not required to buy property in St. Kitts and Nevis as a foreigner. St. Kitts and Nevis uses the East Caribbean Dollar (XCD) which is pegged to the US Dollar (USD) at USD1 = XCD2.70. All foreigners must obtain an Alien Landholding License be able to buy landed property as stated in the Alien Land Holding Regulation Act Cap. 102. The license fee is 10% of property value. In accordance with the St. Kitts and Nevis Bar Association, legal fees are charged based on property value. Most lawyers charge an additional amount for the application of Alien Landholding License, around ECD1,500 (US$556). Buyers must also pay an amount equivalent to 0.5% of property value for the national Land Assurance Fund. These are contributions for title assurance, a legal requirement in St. Kitts and Nevis. Stamp Duty on conveyance on sale of property of property 12% of property value. For condominiums, the stamp duty is 5%. Stamp duty is paid by the seller. Stamp duty is 18.5% In the South East Peninsula and 14% for properties in any Special Development Areas. How landlord-friendly is the law in St. Kitts & Nevis?